Anyone that knows me knows how much I love wine and am an admitted “wine snob”. I’ll never pass up a glass of rich pinot noir, will sometimes settle on a merlot and wouldn’t be caught dead sipping a shiraz. With warm summer evenings on the horizon, I’m anticipating more than my share of glasses of chilled chardonnay as the sun sets. For centuries, wine-making was synonymous with European tradition emerging from the likes of Italy and France, among others. In recent decades, countries such as Chile, Argentina and Australia have been showcasing their vino craft in the global market. On this continent, California’s Napa Valley has also made a name for itself among giants. While the Okanagan region of British Columbia is becoming more widely recognized as terrific turf for vineyards, I’m proud that Vancouver Island (and the surrounding Gulf Islands) has been slowly carving a wine-production niche all its own. High quality, family-run vineyards have been emerging throughout the Saanich region of the south Island and slowly spreading north. Rain, sun, fertile soil and the moist rainforest environment have added up to a unique and diverse climate. The conditions on Vancouver Island are ideal for more than just one or two kinds of wine – including a variety of organic bottle. 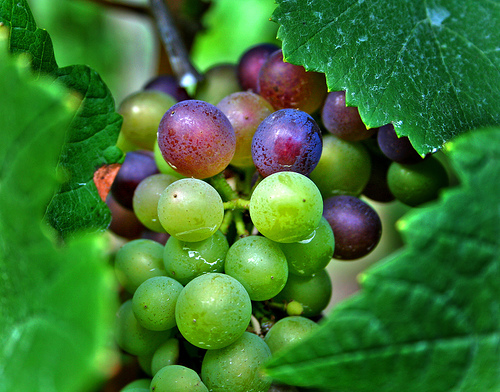 Wines from the Island are luscious in their bold flavours. Berry fruits, orchard apples, vanilla notes and earthy tones seductively dance to tease the tongue. 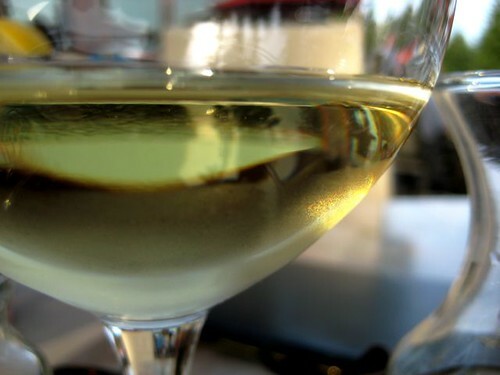 Those seeking a little bit of local flavour can expect to find everything from Gewürztraminer to pinot gris, from merlot to pinot noir and everything in between. The options truly are limitless. 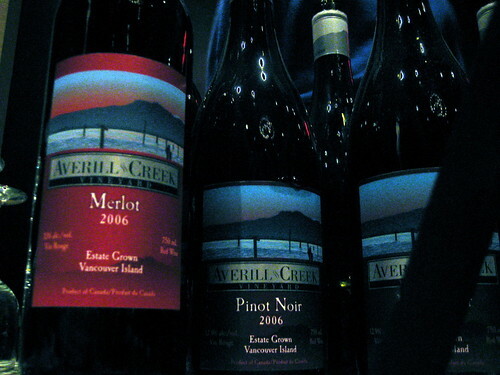 What makes Vancouver Island wines truly a special treat is the craft and care gone into each and every bottle. While internationally-known vineyards often come from multiple generation of vintners, the Island’s wine producers have a fresh take on a timeless tradition. 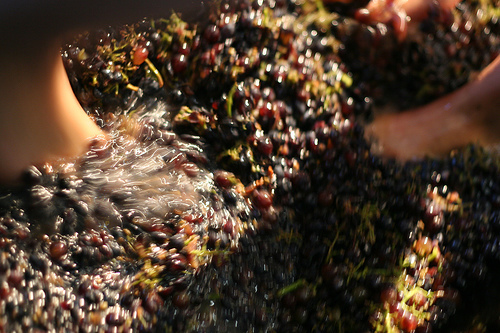 While the technique of pigeage (grape-stomping) is rarely employed, a wine-making heritage is developing within an entirely new culture. I have no doubt that we will be seeing Vancouver Island wines for many, many generations to come. On a final note, there are few things that go with wine as well as cheese. Lucky for us, staying within the 100-mile diet is also simple in this regard. Aside from the countless dairy farms dotting the Island, it is also home to Little Qualicum Cheeseworks in Qualicum Beach and Natural Pastures in the Comox Valley (their brie is to die for). Next time you’re enjoying an entertaining night in, pick up something local and savour the Island’s flavours! 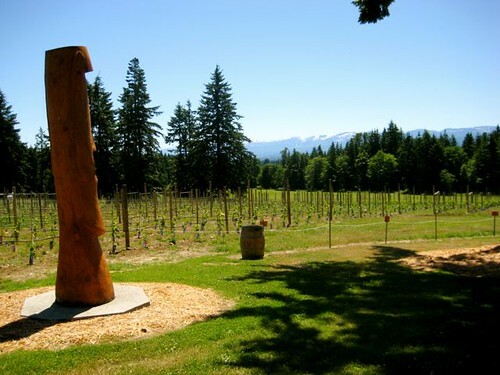 For a nearly-complete directory of Vancouver Island wineries and vineyards, please visit Wines of Canada. From there, you can also link to the locations on the Gulf Islands. The majority of the Island’s vineyards are open to the public for tours and tastings, so consider that option as a brief summer getaway. Personally speaking, I recommend grabbing a bottle from either Carbrea Vineyard on Hornby Island or the Comox Valley’s Beaufort Vineyard & Estate Winery. 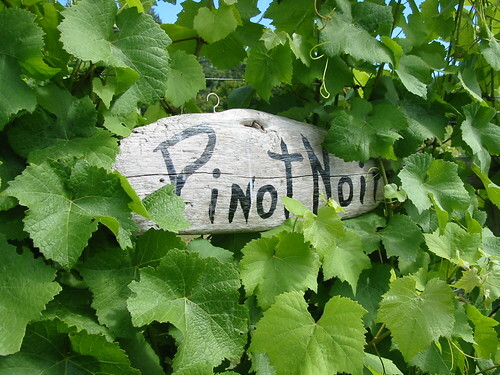 The pinot noir from Saturna Island Family Estate Winery is also a fantastic sipping wine for nights on the couch (and a bargain at less than $20 per bottle). If you have a business or product you’d like to see featured in the weekly Island Profile series, please feel free to contact me by e-mail. New the Comox Valley? Don’t know where to being the job search? Morgan Ebbett Career Services might be just what you need. Through helping you identify your strengths, Morgan Ebbett can help you turn those skills into careers with work that is meaningful to the individual. Visit their website for more information. This is very beautiful and delectable-sounding. I hope some day I can adventure this way. @Luba – Thanks for the info! I’m definitely excited to try this new wine, and I’ll have to keep my eyes peeled for something from Magnolia Creek. I know that the cold beer and wine shop in Courtenay carries an extensive collection of local wines from the Island and Gulf Islands! No Shiraz???? Oh dear, I must change your mind on that pronto! Wine snobs unite!